While some medical conditions are such that having a delay in seeing results is acceptable, when you are sidelined by chronic headac﻿hes or debilitating migraines, you need reliable and fast relief. Unfortunately, because there are so many things that can trigger both headaches and migraines, it can be challenging to find the right method to get the relief you need. I know that when I get an occasional headache or even mind-numbing migraine, it always seems to come at the most inopportune time. I’m not a fan of synthetic medication, so I started to do some research into natural methods of relief so I could have them handy. I came across an interesting fact. Not only do natural remedies work, but they are often far quicker than traditional pharmaceutical options. For example, it takes just 22 seconds for the molecules in essential oils to reach your brain and within two minutes they are in your bloodstream so that they can reach every cell in your body in just 20 minutes. That means fast relief, not just for headaches and migraines, but for all the many benefits you can get from essential oils. Once I was convinced that essential oils were the way to go, the only part of my research that remained was determining which essential oil is best for headaches. And while I was at it, I also considered the best essential oils for migraines since I did get one of those every now and then, and also have some friends that do. With a bit of research and trial and error on my part, I came up with my favorite five. A great number of headaches are directly related to muscle tension, fatigue, and inflammation. 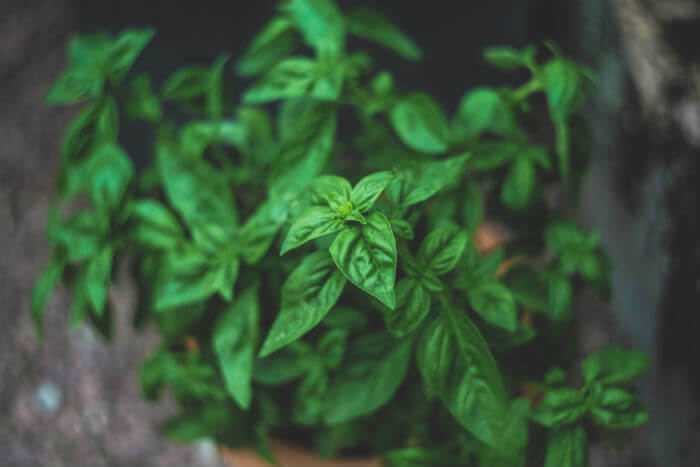 Basil essential oil’s uplifting scent, as well as its muscle relaxing and anti-inflammatory benefits, are the main reasons why it can be helpful for both headaches and migraines. 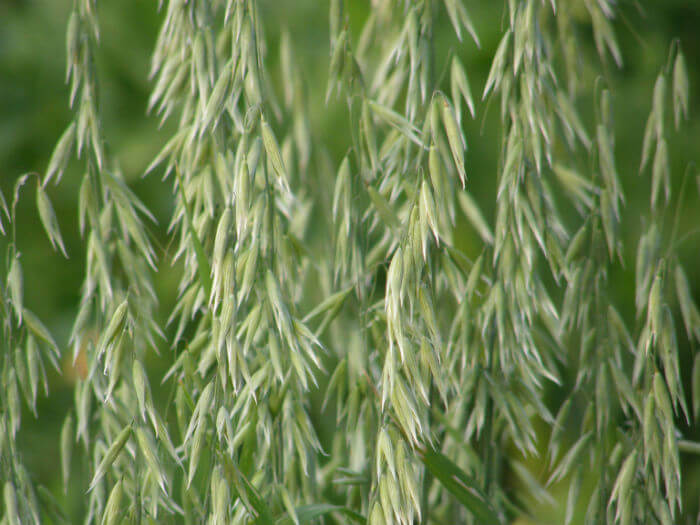 Its antidepressant and antispasmodic properties can also prove helpful when dealing with pain. The extraction method for basil essential oil is steam distillation of the leaves, stems, and flowers. Use of basil for natural remedies and other believed benefits dates back to ancient times. 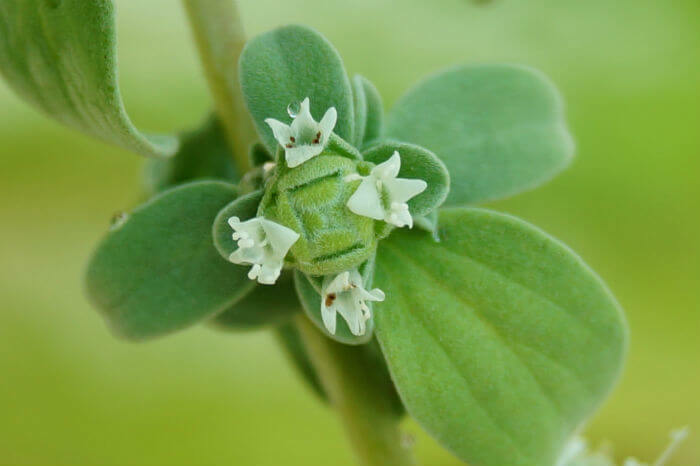 It was used by ancient Greeks to anoint kings, and Hindus places sprigs of basil on their deceased loved ones because it was believed to guide them into their next life and protect them from evil on the journey. It has even been thought to be an aphrodisiac. You can use basil essential oil topically, aromatically, or orally. Apply to temples, back of the neck, and/or forehead. Do not use basil essential oil for children under 6 years of age. Pregnant women and those who have epilepsy also shouldn't use it. 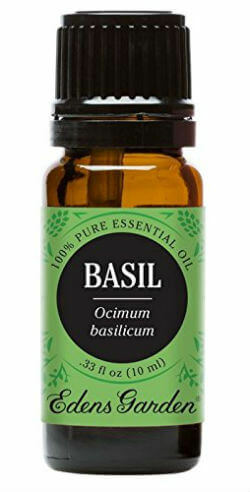 Be sure to use only a 100% pure therapeutic grade basil essential oil, particularly if you plan to ingest it. It can be a vicious circle to have muscle tension bring on a headache and then the pain from a headache makes you tense up more which further exacerbates the problem. 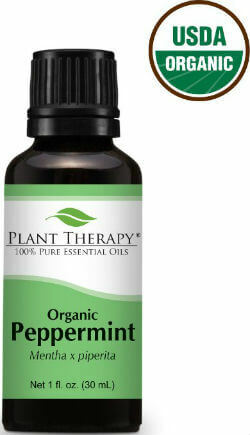 Peppermint’s anti-inflammatory and antispasmodic traits get to the cause of a headache and its uplifting scent helps you feel more invigorated. Increased circulation and reduced muscle fatigue can also promote health and thus lessen headaches and migraines from occurring. Peppermint essential oil can be used topically, aromatically, and orally and although it can be used during pregnancy, it should be used with caution. Also, use with caution if you have high blood pressure. Once again, finding an oil that can calm muscles is often the fastest path to relieving a headache, and marjoram is an exceptional choice. Marjoram is also excellent for anxiety and tension. In fact, the Romans called it, “the herb of happiness,” and the Greeks referred to it as, “joy of the mountains,” because of its ability to calm emotions. It is also helpful with menstrual cramps and mood swings, which can also cause headaches. You will gain the physical benefits best through topical use, however, when used aromatically it will produce a feeling of peace and promote sleep. It can also be used by ingestion. By now you are probably seeing a pattern. Essential oils that are helpful for calming are often the best for relieving headaches. Lavender is one of the best-known oils for dealing with anxiety. The list of benefits goes far beyond helping with headaches, hence why it is called a universal oil. 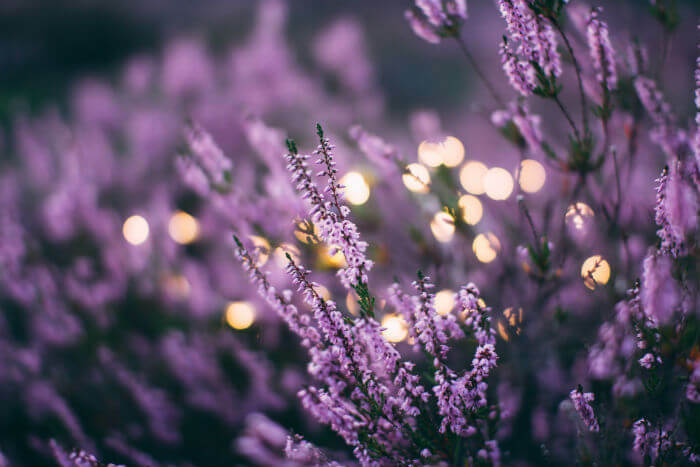 In fact, when in doubt, use lavender. It literally has hundreds of uses that go beyond relieving a stress or tension headache. You can use lavender essential oil topically, diffuse it, inhale from the bottle, or even ingest if a high quality 100% pure therapeutic food-grade product. Often the best way to get the most relief is to get a blend of oils that is formulated for the specific condition you are treating. M-Grain is a blend from Young Living that includes the four oils mentioned above, as well as Roman chamomile and helichrysum. Roman chamomile is an anti-inflammatory and antispasmodic to relieve muscle tension and stress. Helichrysum is also an anti-inflammatory but is also useful to increase circulatory functions and to let go of angry feelings that could be causing you stress. 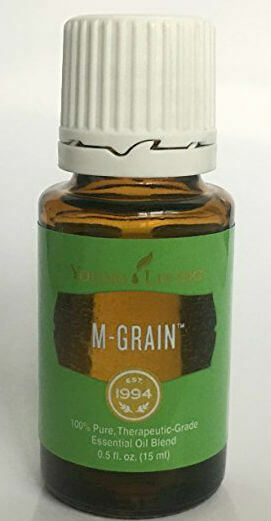 The best way to use M-Grain for quick relief of a headache is to put two drops into the palms of your hands and then cup them over your nose and inhale. You can also massage the oil along your brain stem. Other potential points to put it are on your forehead, crown, back of neck, temples, and shoulders. This blend is also helpful for nausea and depression. Even if you do not have frequent headaches or migraines, it is not a bad idea to have these essential oils on hand for when you do. Being able to nip one in the bud before it has a chance to really take hold can keep your day on track. It is easy enough to carry these oils along with you wherever you go too. Before long you’ll learn which ones to use for your situation because, after all, the best essential oils for headaches are the ones that work for you. Taking over the counter pain relievers may get the job done, but repeated use is known to cause health problems. Choosing these essential oils instead will avoid that and get you quicker relief in the process.